In a recent post on Lamentations 4:3, I made reference to the Masoretic tradition that gives us both the canonical Hebrew text of the OT and some ways in which the written text might be in error. Here are some images that demonstrate how the Masoretes recorded their notes. At the right is a (slightly digitally enhanced) section of the Leningrad Codex from almost exactly 1,000 years ago. It shows the beginning of Lamentations 4. I’ve used blue shading to highlight the word for tanin (“sea monster”) in the main text, and its correction as tanim (“jackals”) in the margin. Similarly, yellow shading shows ki einim (“because einim”) in the main text, and its correction as kay’einim (“like ostriches”) in the margin. Details of the main text and the corrections (with, unfortunately, significant digital artifacts) appear below. 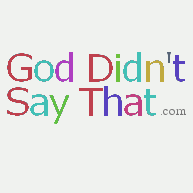 Click any image to enlarge it. Lamentations 4:3 in the Leningrad Codex. Detail of main text. Lamentations 4:3 in the Leningrad Codex. Detail of marginal note. Tanim. The nun in the main text is corrected as a mem in the marginal note. 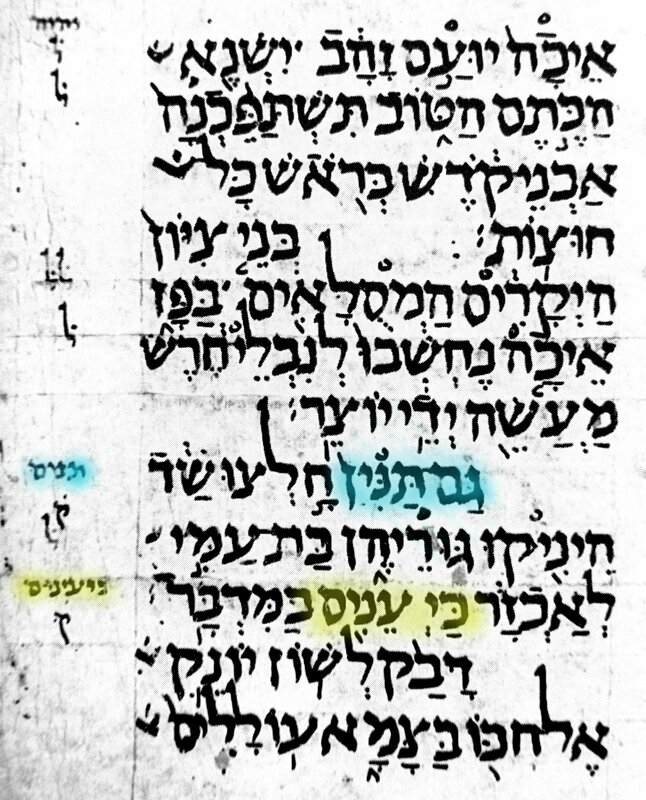 Kay’einim The two words in the main text are corrected as one in the marginal note. This is very, very, informative. Thanks for posting this. So should I understand that modern Jews accept the corrected text? Do you mean “JPS”? If so, it’s the Jewish Publication Society. Yes. In Jewish communities the corrected (“read”) text is what is read and assumed to be accurate, even though the “written” text is still recorded in Torah scrolls. Some printed Hebrew versions contain both, as a guide to the reader. Thank you again. It’s a wonderful thing about the internet age that such an obscure question can receive such an erudite answer.